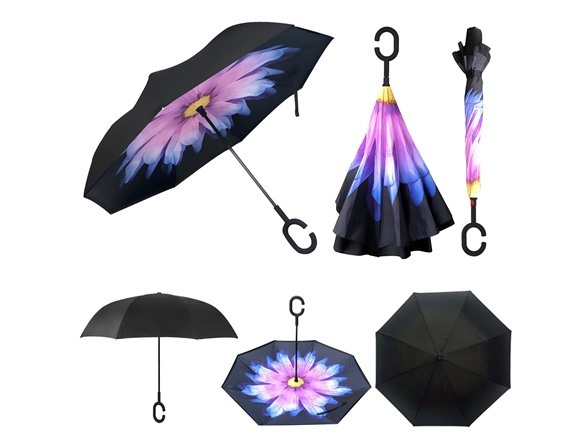 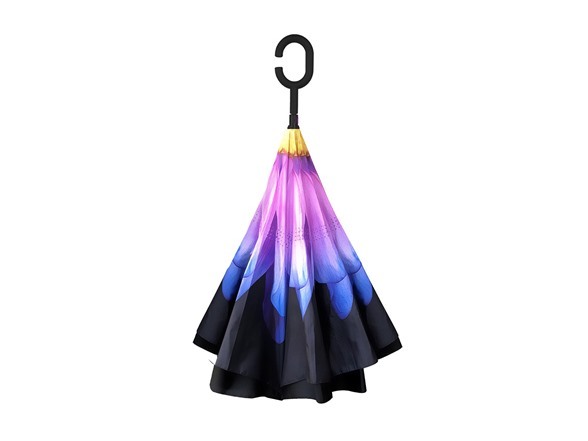 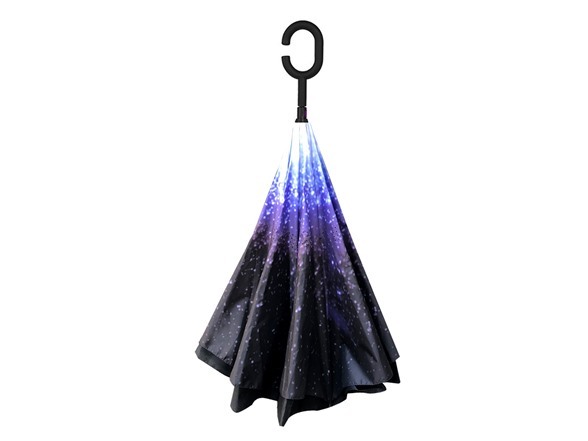 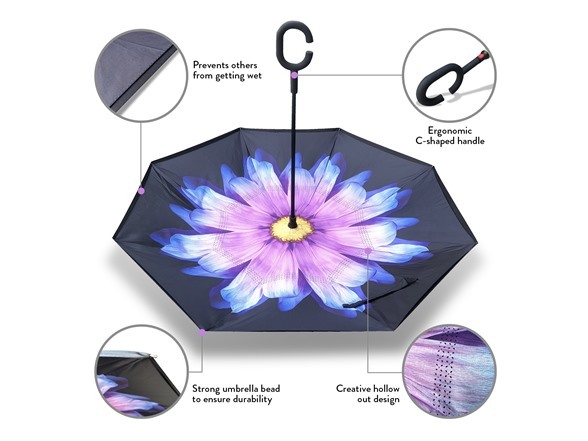 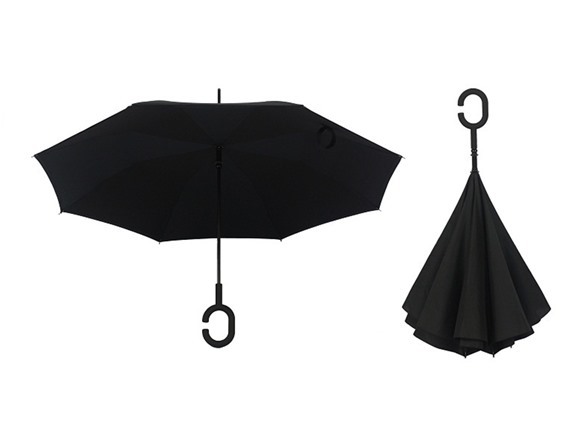 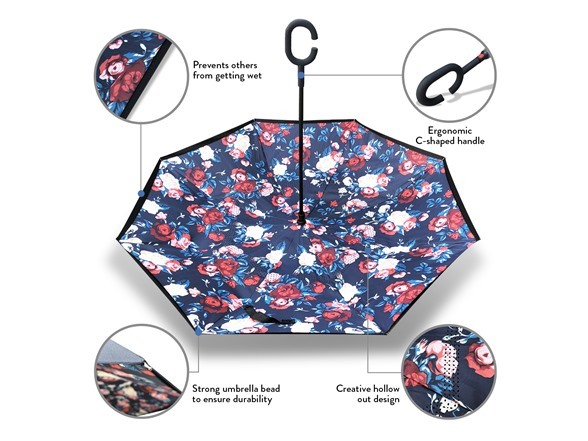 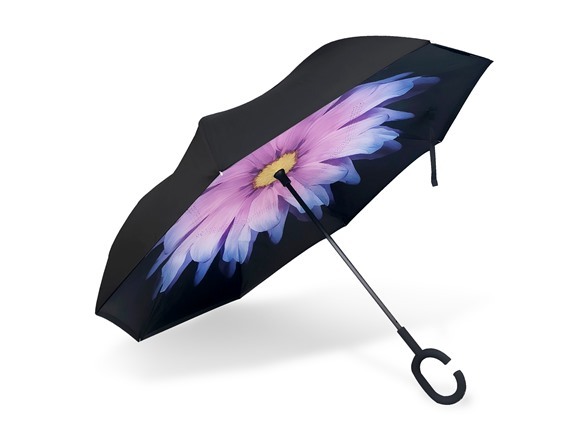 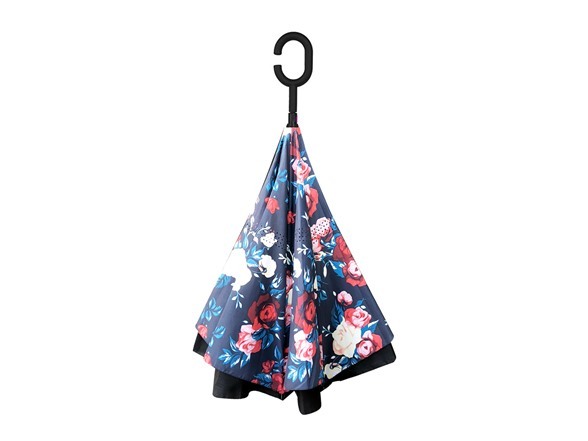 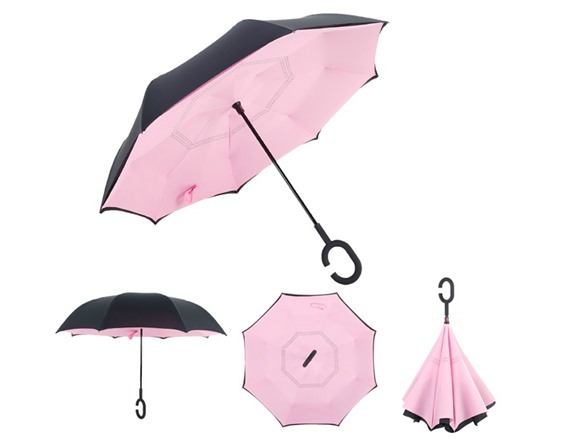 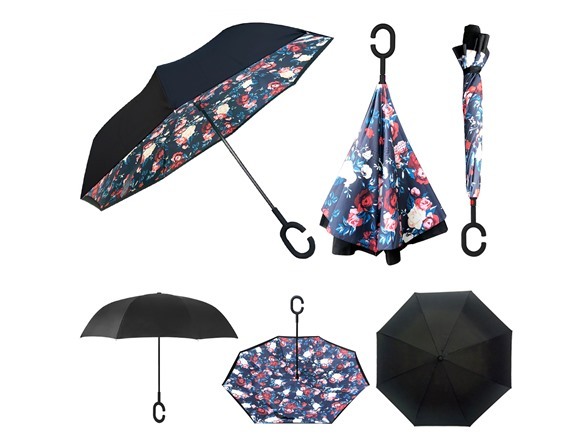 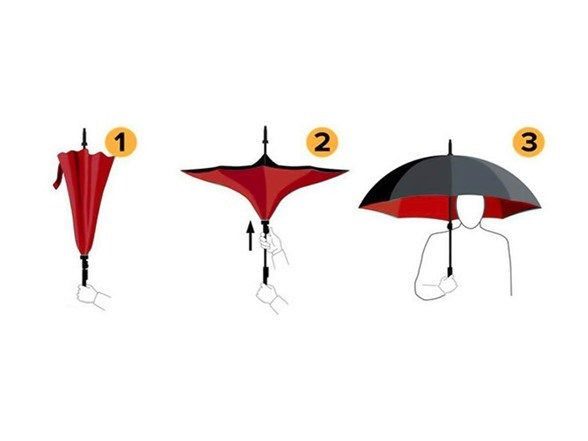 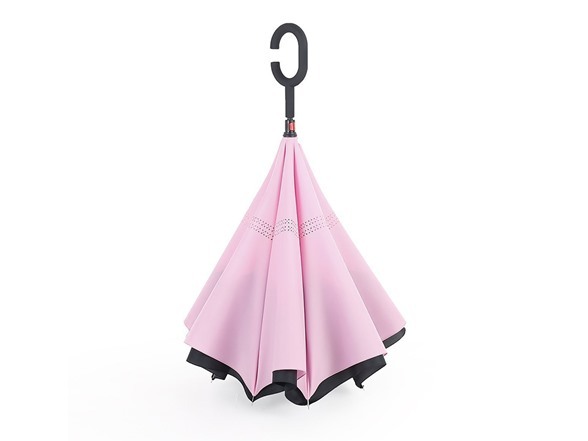 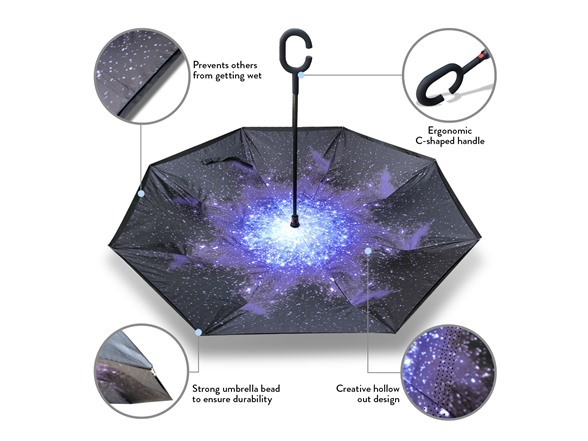 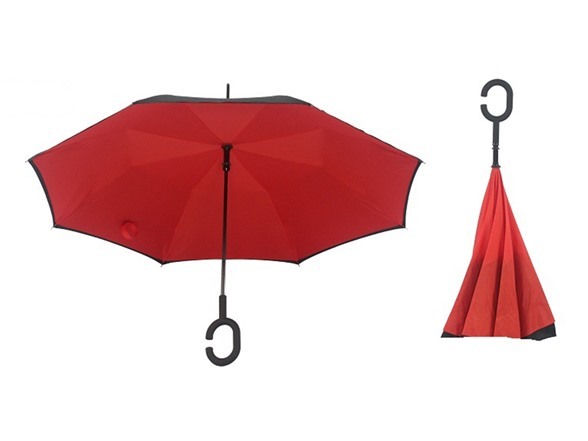 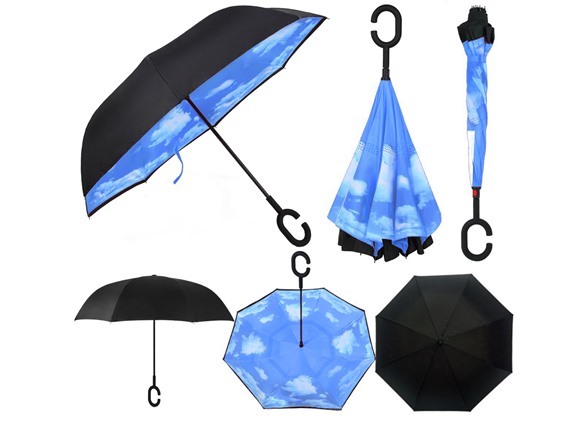 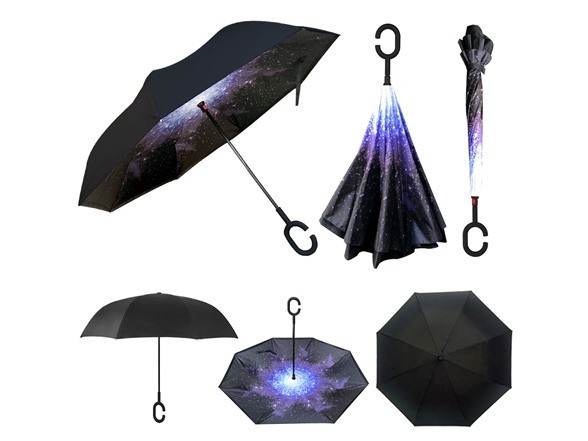 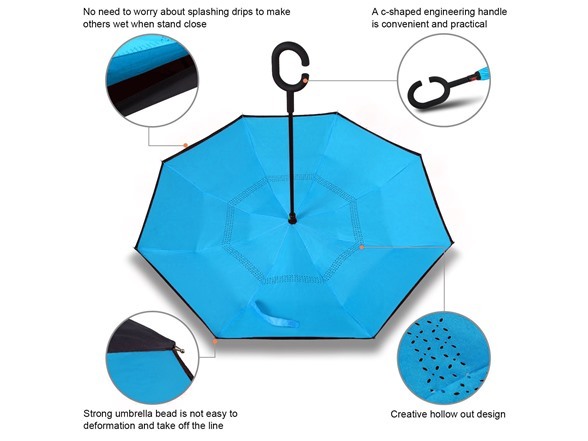 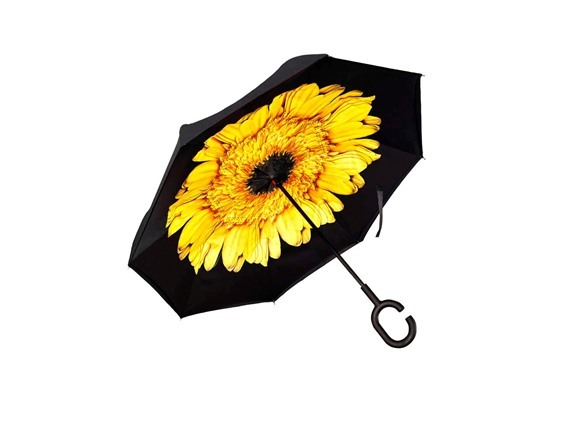 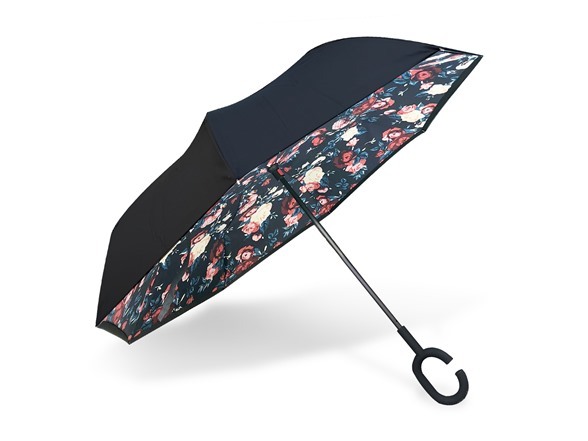 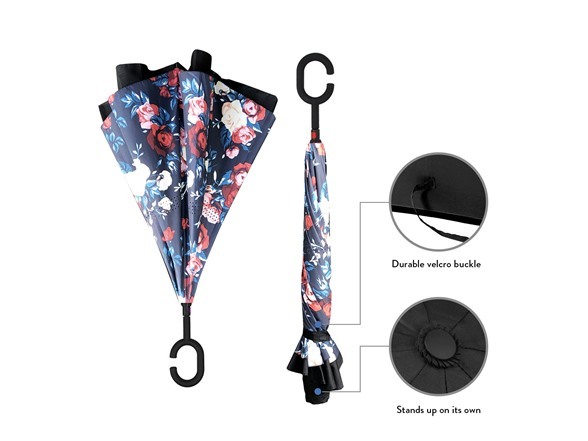 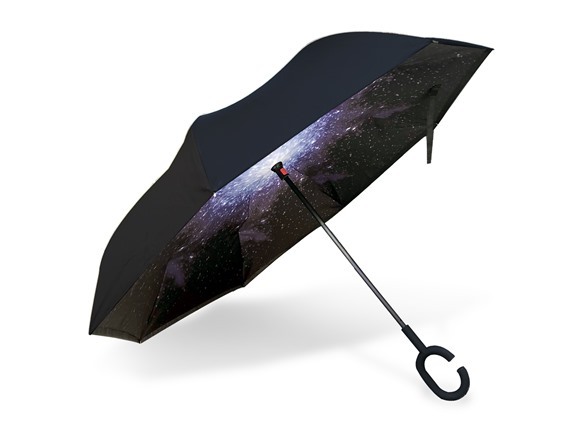 With the reverse fold design, this reversible umbrella actually works well for a rainy day. 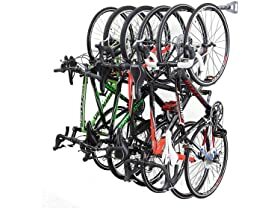 The C-Handle design allows you to hold the umbrella hands-free. 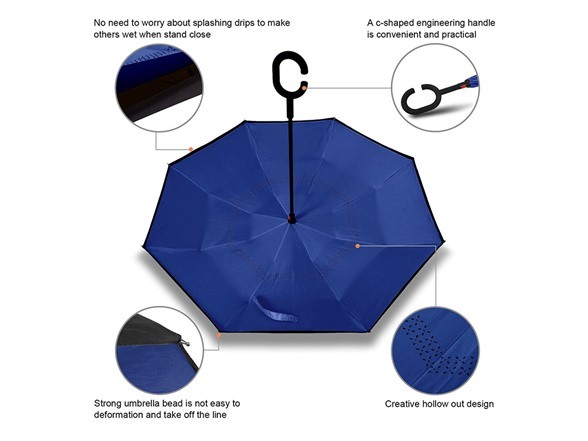 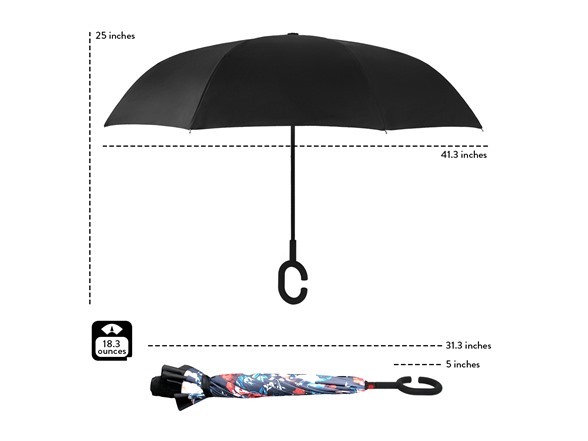 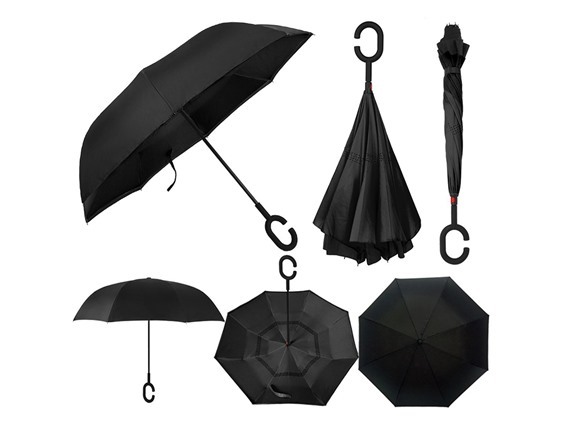 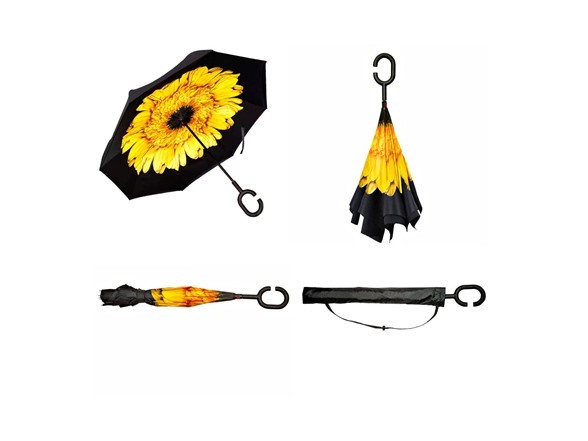 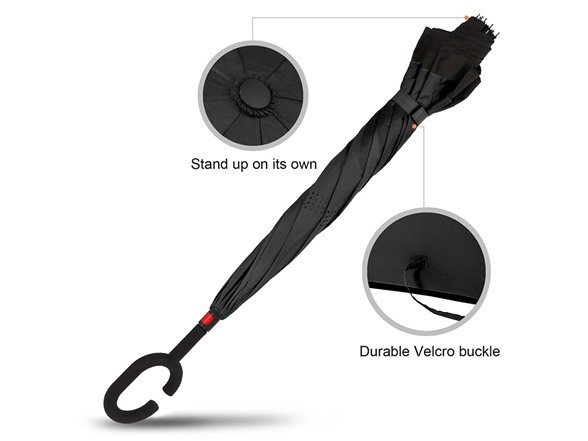 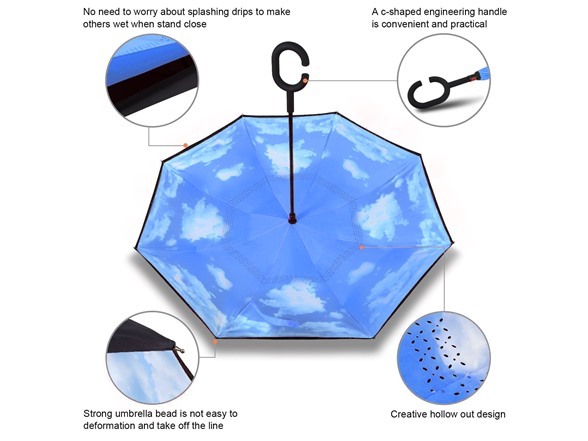 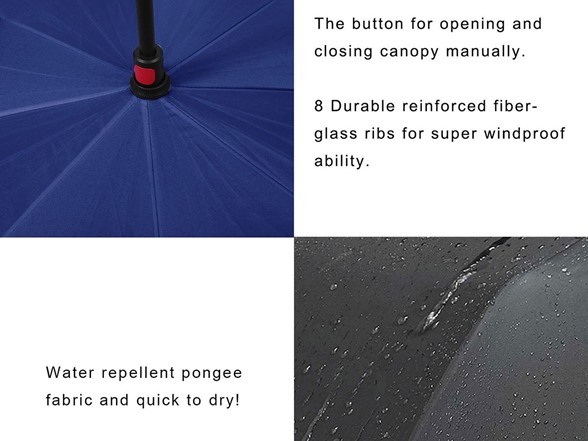 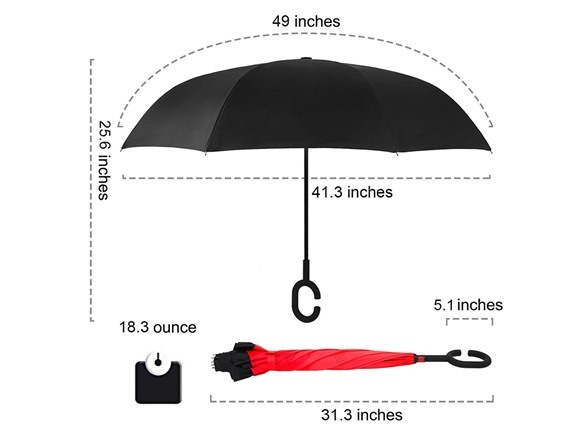 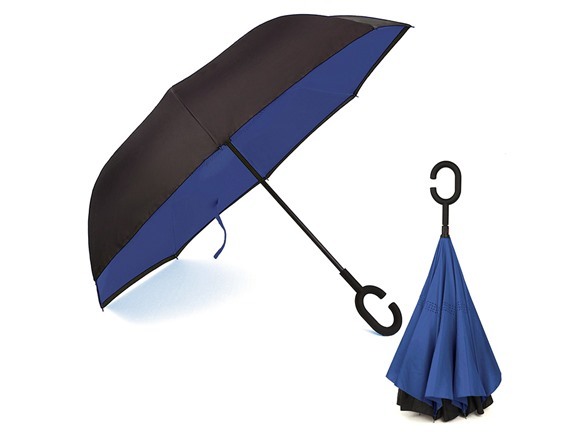 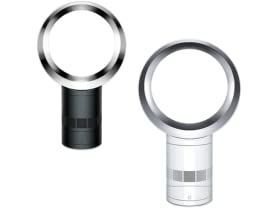 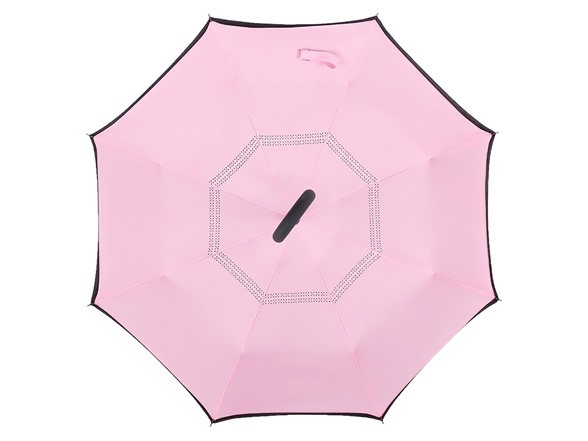 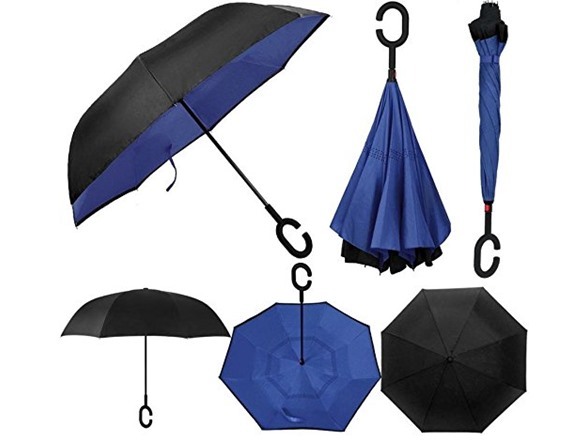 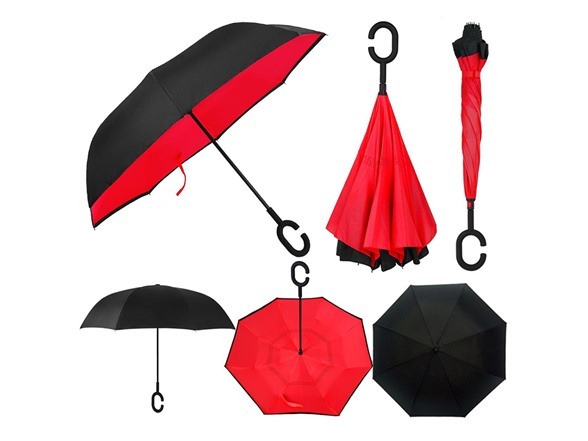 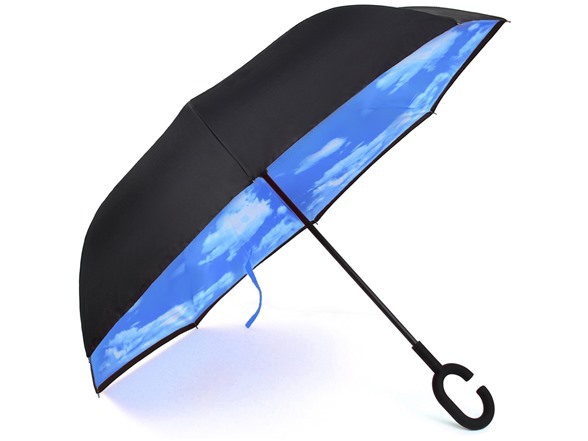 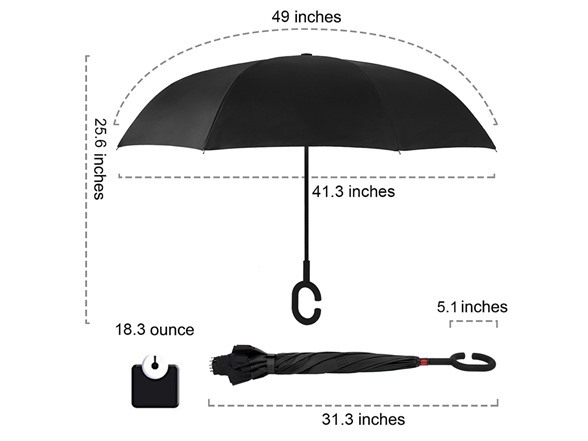 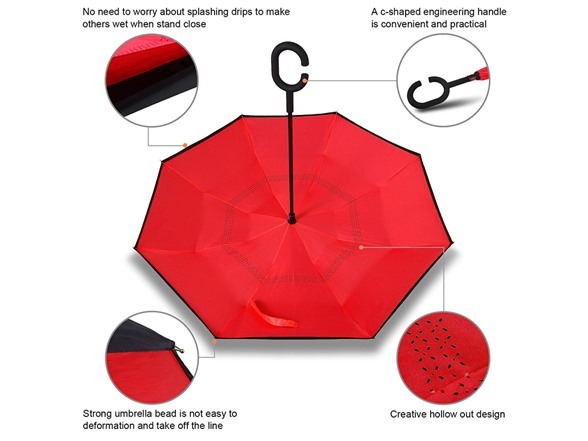 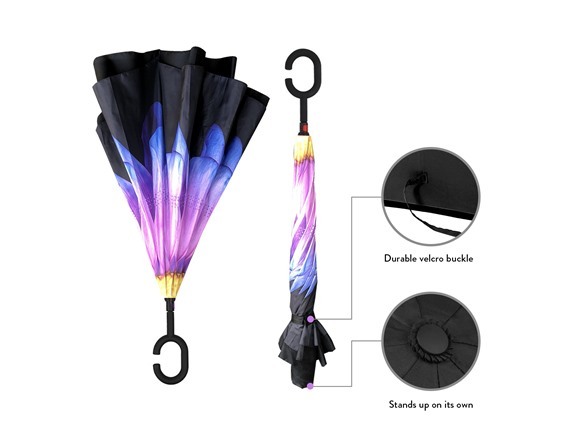 With a simple click of the embedded button, you can open and close the umbrella easily. It will keep the wet part of the umbrella inside when you close it. 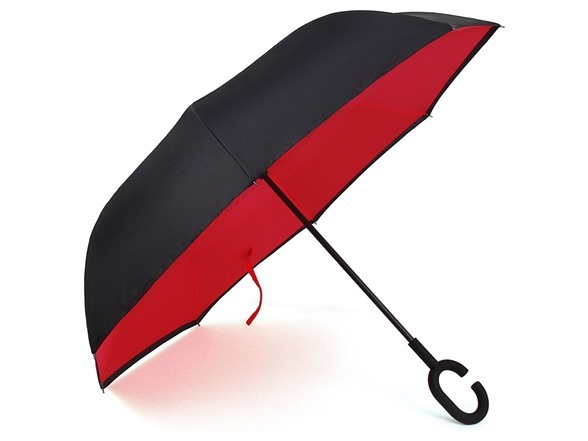 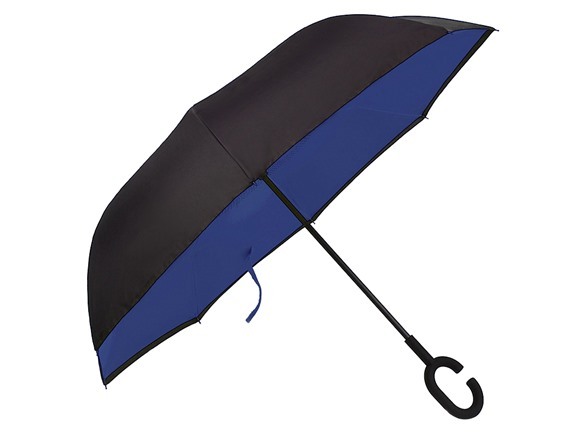 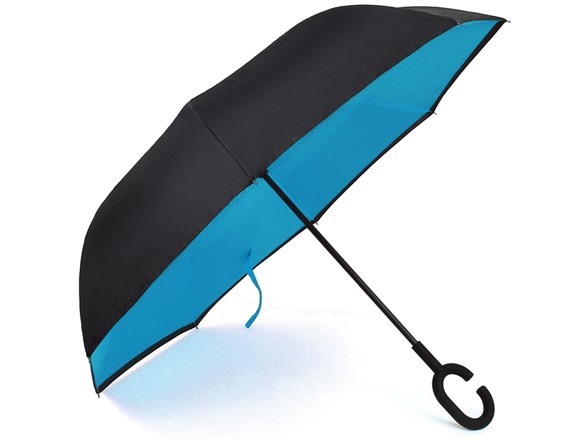 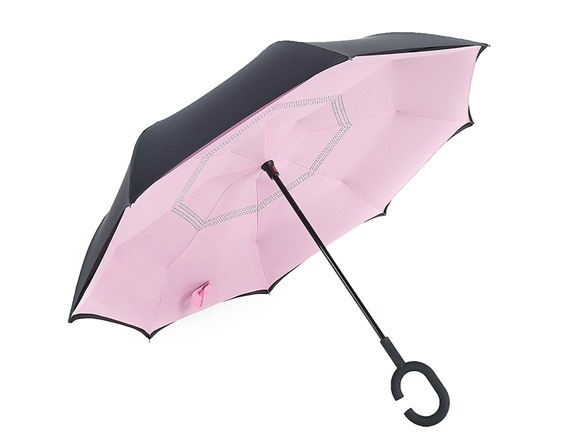 The tie strap is comfortably thick enough to securely keep the inverted umbrella together when folded. 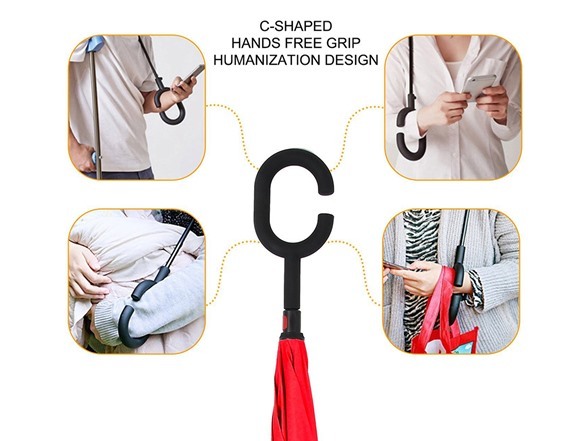 C-Shaped Handle: This handle is comfortable to hold and will free your hands in the rain. 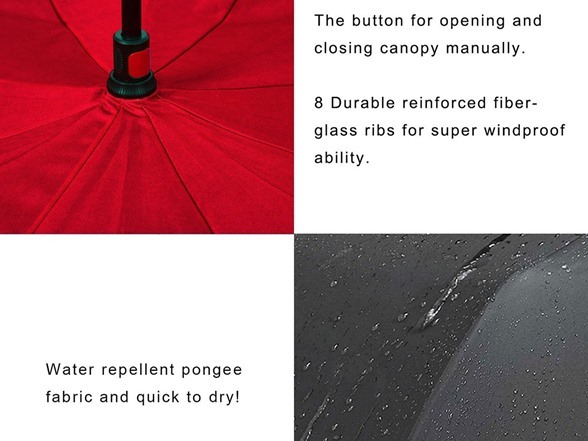 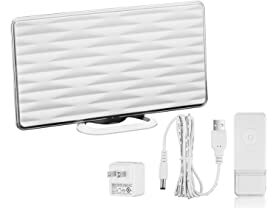 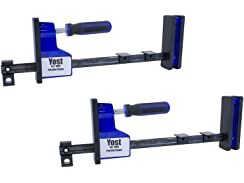 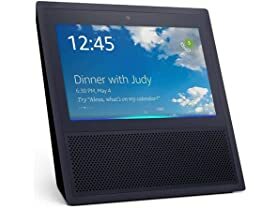 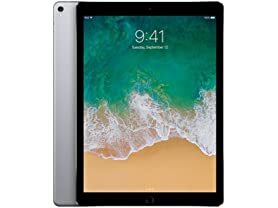 Convenient: The button to unlock and lock it in place feels both sturdy and easy to latch and unlatch. 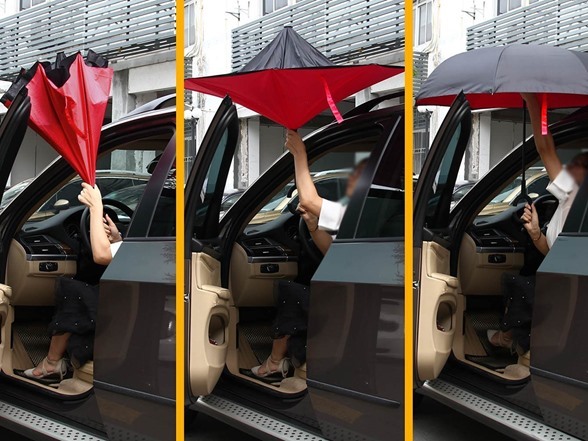 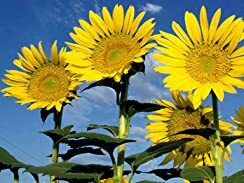 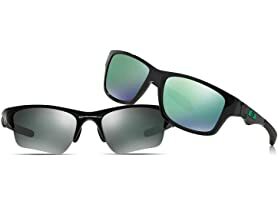 ANTI-ULTRAVIOLET - UPF>50+ Sunscreen fabric production, Double layer protection, Light transmittance is "0"